"I’m a larger-than-life fashion personage with a great deal of gravitas, having gone through five decades of fashion. . . . I’ve been at the forefront of great fashion moments in the 20th century and 21st century. So I’ve been through the chiffon trenches." And while that is a lovely and vivid description it doesn't actually answer the question. The answer is that he is currently a contributing editor at Vogue after leaving his position as editor-at-large of the publication, a title he held from 1998 through 2013. Talley studied French as an undergrad at North Carolina Central University, going on to earn his Masters, and originally hoped to teach the language. After graduation however, he took at a job working for Andy Warhol's Interview magazine for $50 a week as well as volunteering for Diana Vreeland at the Metropolitan Museum of Art. In the late seventies Talley worked for both Women's Wear Daily and W magazine, continuing to expand his already impressive professional network. In 1983 he landed the job of Fashion News Director at Vogue, eventually working his way to Creative Director (alongside Grace Coddington) before leaving to work for W in Paris. As a creative director, Talley helped to style and direct the fashion editorial shoots appearing in Vogue. Similarly to Coddginton, Talley became somewhat of an accidental celebrity after appearing in the documentary The September Issue. His celebrity grew after he joined the judging panel of America's Next Top Model from cycle 14 through 17. 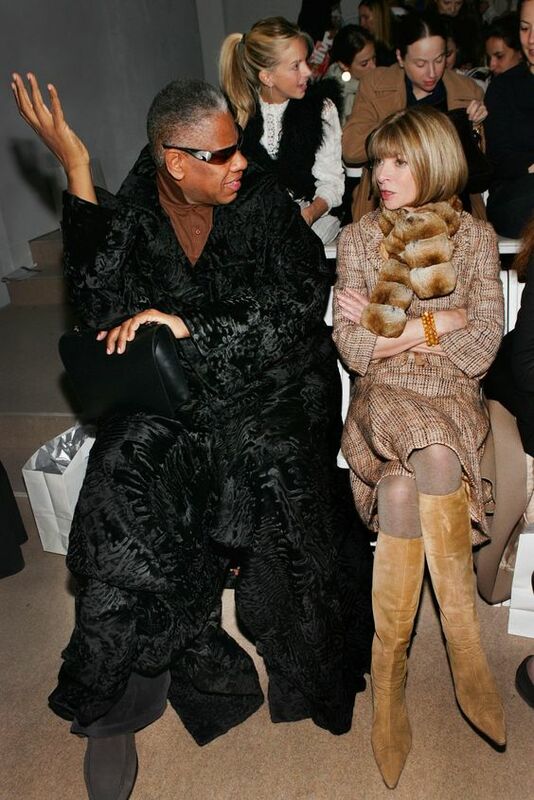 He is perhaps most recognizable because of his penchant for dramatic fashion, particularly over-sized caftans. Talley has long been a champion for African American designers and has consistently pushed for more diversity in fashion magazines, both in terms of models and designers. The Council of Fashion Designers of America, or CFDA for short, is a not-for-profit trade association for American based fashion and accessory designers. And if you're finding yourself still asking "But what is it?" don't feel silly. I had to do quite a bit of research myself to figure it out. Founded in 1962 by Eleanor Lambert, a prominent fashion publicist of the time, the CFDA is intended to be an organization committed to furthering American fashion and providing support for budding and well established designers. It aims to educate both industry insiders and non-fashion folk regarding the business side of fashion and what it takes to succeed (and stay successful) in such a demanding field. The organization offers a number of scholarships for high school, college, and postgrad students; hosts the CFDA Fashion Awards every year; and runs the CFDA/Vogue Fasion Fund competition in which young designers compete for a hefty cash prize and invaluable mentoring from an industry veteran of their choosing. Previous winners of the competition include Aurora James for Brother Vellies, Paul Andrew, Dao-Yi Chow and Maxwell Osborne for Public School, Joseph Altuzarra for Altuzarra, and Alexander Wang. In addition to the organization's educational endeavors, the CFDA has also held a number of charitable events supporting research and treatment for HIV/AIDS, sending relief to Haiti, Japan, and areas affected by Hurricane Sandy. In 1994 Ralph Lauren launched the Fashion Targets Breast Cancer program, which has since become a yearly event pulling in nearly $55 million to put towards breast cancer charities world wide. So as you can see, the CFDA is no joke. It's influence reaches far beyond the borders of the U.S. and to be on it's Board of Directors is considered a huge honor. Diane von Furstenberg is the current CFDA President with her board consisting of fashion heavy hitters like Michael Kors, Vera Wang, Anna Wintour, Jenna Lyons, Tracy Reese, Tommy Hilfiger, and Ralph Lauren. Some consider J.Crew the best store to stock up on wardrobe staples, others think of it a place to splurge on one special piece. 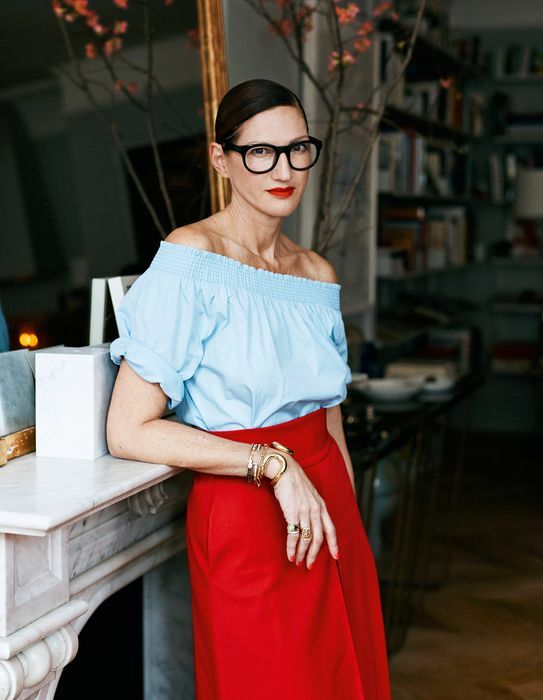 Either way J.Crew has surely solidified itself as a necessary American brand and much of the credit for that success is due to Creative Director Jenna Lyons, the woman who thinks sequins are the new black. Lyons first became creative director in 2008 and has worked for J.Crew since she was 21. "I was an assistant to an assistant" she told Cindi Leive in an interview with Glamour. Her actual title was assistant designer in menswear and her first task was to redesign men's rugby shirts for the brand. She quickly worked her way up the ranks to the point that now I can barely imagine a J.Crew without her. Her signature style of mixing well tailored basics with loud, sometimes over-the-top details like sequins or feathers has become the new norm for the brand. And if you think her outfits look like they have been copied and pasted from a J.Crew catalog, then you would be absolutely spot on. Lyons is responsible for changing the catalog to a "Style Guide" meant to more closely resemble a fashion magazine editorial. Her influence on the styling and design of the guide is undeniable and many see Lyons as completely synonymous with the J.Crew woman. Lyons was born Judith, not Jenna, in Boston, MA but moved to Palos Verdes, CA at the age of four. She was born with a genetic condition called incontinentia pigmenti which causes scarring, hair loss, and tooth problems. She began taking sewing classes at 11 partly as a solution to the problem of finding clothes to fit her lanky frame and partly as an escape from the bullying endured from her classmates. it wasn't long however, before fellow students began admiring her talent as a budding designer. "A girl in social studies passed me a note saying, "I like your skirt." I was like, Is this for me? It was major (Glamour)." She was named one of Glamour magazine's Women of the Year in 2012 and currently holds a much revered position on the Council of Fashion Designers of America (CFDA) Board of Directors. In the latter position she assists in choosing the CFDA Vogue Fashion Fund finalists and winners.